Six houses of worship have been set on fire in the last month. For the second time in six months, black churches are burning. There have been six fires since October 8, all within a few miles of each other around St. Louis. Five have been at predominantly black churches, while the sixth was at a mixed church. Each fire has been set at the door, and while most have done minimal damage—one pastor called them “amateur hour” arsons—one nearly destroyed a building. The situation is not unlike the arsons that followed the massacre at Emanuel A.M.E. Church in Charleston this summer. As The Atlantic pointed out at the time, there’s a long history of terrorism against black churches in America, one that begins in the era of slavery and continues up through Reconstruction, the civil-rights era, and into the 1990s. But unlike those burnings—and despite the intense focus on the St. Louis area since the August 2014 death of Michael Brown in Ferguson—the recent arsons have been slow to get the same attention, either in the national media or even in the area. If a series of attacks on churches is terrorizing, support from within the community and the nation is one comfort. Facing the attacks mostly alone seems to grate on some of the churches. Burnings of black churches has often been a tactic for white supremacist groups. In 1995 and 1996, dozens of churches burned in the South. A special Justice Department task force eventually obtained hundreds of convictions, including Ku Klux Klan members who burned South Carolina churches. But as Emma Green pointed out in June, there are a stunning number of intentional fires at houses of worship each year—around 280 annually between 2007 and 2011—and the motives are sometimes hard to prove. Many are a result of racial animus. Some are simply set by firebugs. In some occasions, what looks initially like arson turns out to be accident. 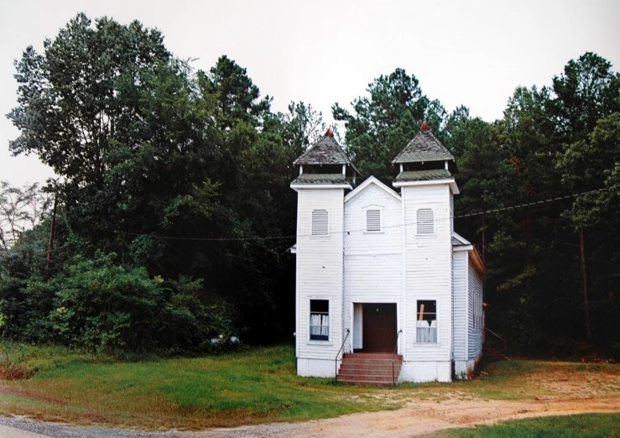 In July, during the summer arson spree, Mount Zion A.M.E. in Greeleyville, South Carolina, which had been burned in the 1990s arsons, again caught fire and was destroyed. But law-enforcement officials later determined that the Mount Zion’s fire wasn’t a crime. And not just from arson. In the aftermath of the Charleston shooting, a partisan divide emerged (mostly, it must be said, among white politicians and commentators) over whether the attacks were mostly a case of racial animus—after all, Dylann Roof was a self-proclaimed white supremacist who said he wished to start a race war—or whether it was an attack on Christianity, since it struck a church. What’s interesting is how leaders of these churches deal with that dichotomy. By and large, they refuse to even countenance the idea that there might be a divide. Burton told As It Happens that many of his congregants were old enough to remember the tense days of the civil-rights struggle, and were watching to see if there was proof of a racial motive with “bated breath.” But he also portrayed the arsons as an assault on faith, and expressed disappointment that more local churches, synagogues, and mosques hadn’t reached out in solidarity.